Richard Williams may be 51 years old, but he still has the dreams of a young boy. Sure, he’s not the only one, but unlike others he set out to fulfill them. I guess it’s true what they say, better late than never. As a child, Richard was a big Star Trek fan, but never got the chance to be on the bridge of the Enterprise, so ten years ago he converted one of the rooms in his apartment into the bridge of the iconic spaceship. It wasn’t the best Star Trek replica ever created, but it made our man happy. “Every boy wants a spaceship, but I got to 40 before I could have mine”, he says, but that’s not the only childhood dream he managed to fulfill. 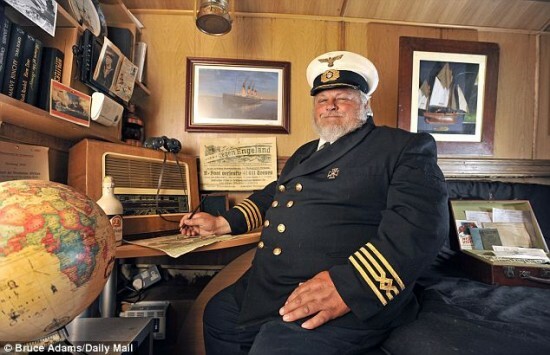 The idea for his U-boat replica, came around his 50th birthday, when his father bought him a barge, so he could enjoy life at a more relaxed pace. But as soon as he laid eyes on it, the former mobility scooter salesman began devising a plan to turn it into something more exciting. At first, he wanted to transform his barge into The Beatles’ Yellow Submarine, but after he finished converting the hull, he learned the specialist yellow paint would cost him £4,000 ($6,500), so he settled for black, which was considerably cheaper. When it was finished, his wife Laurel said it looked a lot like a German U-boat, and since he had always been interested in naval history, he decided to take it to the next level. 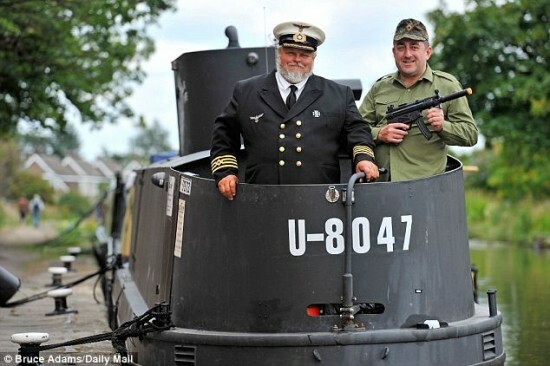 With the help of a company that supplies props for the Star Wars and James Bond movies, Richard Williams decided to turn his U-boat into a floating museum. Entrance is free, and visitors brave enough to go bellow deck will feel just like in a German submarine, considering the decor was copied from the set of Das Boot – a movie about a Nazi killer sub. 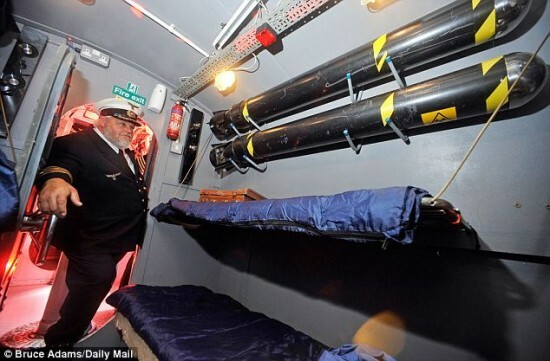 It comes complete with a torpedo bay featuring torpedoes made from old drainage pipes, and launch tubes made from silver pedal bins set into the walls, officers’ quarters, control cabin and even a periscope made from a plastic pipe fitted with a CCTV camera at the top and a screen at eye level. Although this U-boat will never dive, Richard and his wife try their best to reenact a fierce submarine battle whenever they have visitors. The two make use of sonar sounds, spraying water and even rocking the boat to make the experience as believable as possible. Pretty crude special effects, yes, but the Williams hope they will at least give people some idea of the conditions submarine crews had to endure during WW2. 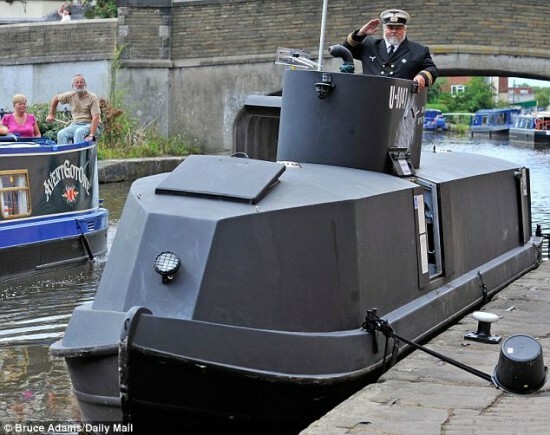 Richard and Laurel Williams spent £50,000 ($81,000) on their U-8047 submarine replica, and even though it’s only 45 feet long, one fifth of a real U-boat, their pretty satisfied withe result.